Red class had a great time at the Year 4 picnic. Red Class are hoping that football is coming home! Red Class really enjoyed Sports Day, thank-you John for all your hard work! Red Class had a fantastic time at the Zoo, everyone had a great day and the weather was beautiful! The Red Class Sweepstake is Underway! We visited our buddies in Penguin Class. We played lots of games in the hall and took part in various classroom world cup activities! We had a fantastic day out at Willow Farm! Take a look at our photos below. 5 Royal weddings in 20 minutes- it was hard work but the children loved it. We took part in lots of fun activities for Sports Relief this year. We teamed up with our Buddies in Penguin Class to build a Den! In Maths we have been learning about money using Shopping Role-Play, the children had to use coins to buy items of their choice. First the children made sunset pictures by mixing colours, then the children made handprints in pop art style. In Maths we did the conga when learning about the positional language 'front' and 'back' with children going from the front to the back of the line on instruction. Red Class have enjoyed their trip to Poundland and have been getting ready for Christmas by decorating their classroom! Welcome back to Red Classes page for Autumn 2. Below is our curriculum map for this half term, you can also download the document. In Red class we recycled items at Wardown park recycling centre as part of our Topic. We then had fun in the park. We decorated tin cans to make funny faces during metal week. In red class we voted for our class voice. Each child went to the voting booth and circled the person they wanted to be our class voice. Welcome to the Red class page. We are currently a class made of eight children and four members of staff. We have PE every Monday, cooking every Thursday and we are swimming this half term on Tuesday mornings. The children are soon going to be given reading books to be read at home as well as school. Our Topic this half term is ‘What a load of junk’ which touches on the importance of recycling and has a curriculum focus on Science. 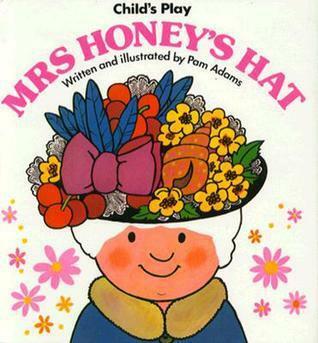 In English we are currently reading Mrs Honey’s hat and will continue to do so for the next few weeks before moving on to other stories. In Maths we are currently working on number and will then focus on shape before half term. For any queries, please don’t hesitate to contact me in the home-school books.